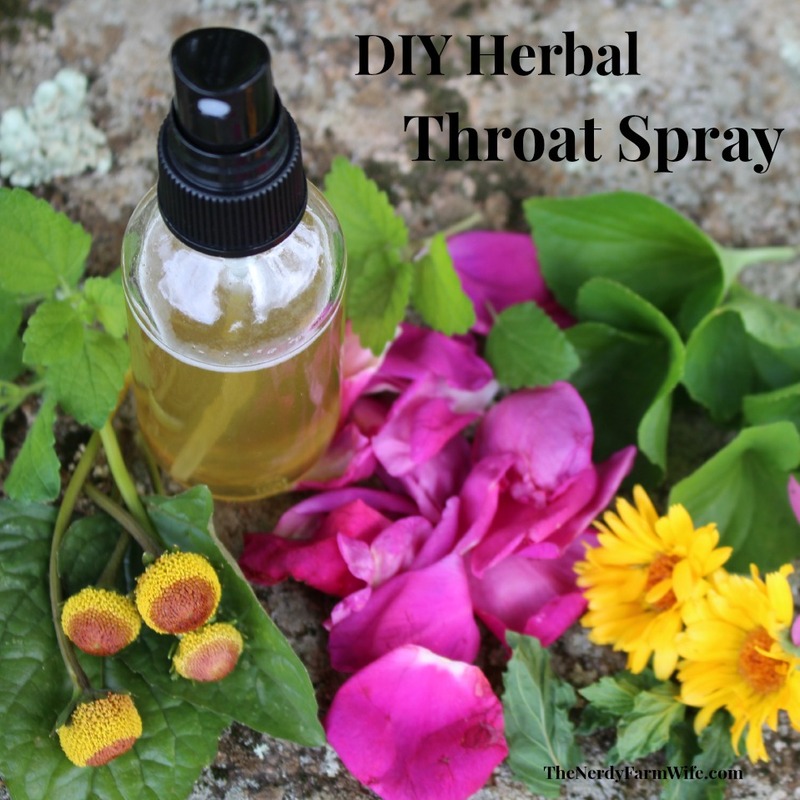 Today, I want to share how I make customized herbal honey throat sprays to treat my family’s sore and scratchy throats. 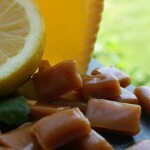 I use raw honey in these, but you can substitute vegetable glycerine if you’d like to make a vegan product. (You can buy it HERE.) Also, remember that honey should not be given to children under a year old. 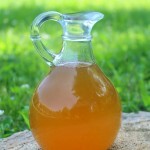 The recipe revolves around using tinctures (also called plant extracts), but if you prefer to avoid alcohol completely, you can substitute a strong herbal tea instead. I’ll give more details on that below, along with a list of herbs to consider using when designing your spray. Mix all of the ingredients together and pour into a 2 ounce glass spray bottle. I buy mine at SpecialtyBottle.com. Spray into your mouth, directed towards your throat, as needed. When made with tinctures, this throat spray will last for months, stored in your refrigerator. If you don’t want to use alcohol based tinctures, you can make this recipe with a strong herbal tea instead. Just be sure to keep the resulting spray in your refrigerator and be aware that the shelf life will be reduced to a mere number of days. To make a strong herbal tea: put 1 or 2 tablespoons of dried herbs, or twice as much fresh, in a heat proof jar and pour a cup of simmering hot water over them. Let this steep for at least an hour, or more. The longer it steeps, the stronger the tea will be. Strain and use in the recipe above. Extra tea can be frozen in ice cube trays for later use. Be sure to research each herb before use to ensure that it’s not contraindicated for your personal health situation. A persistent or severe sore throat can be a symptom of serious illness and may need evaluation and/or treatment by a health care professional. Tinctures (herbal extracts) can be found in your local health store, online (I like Herb Pharm brand), or you can make your own by following the directions HERE, using the herb(s) of your choice. 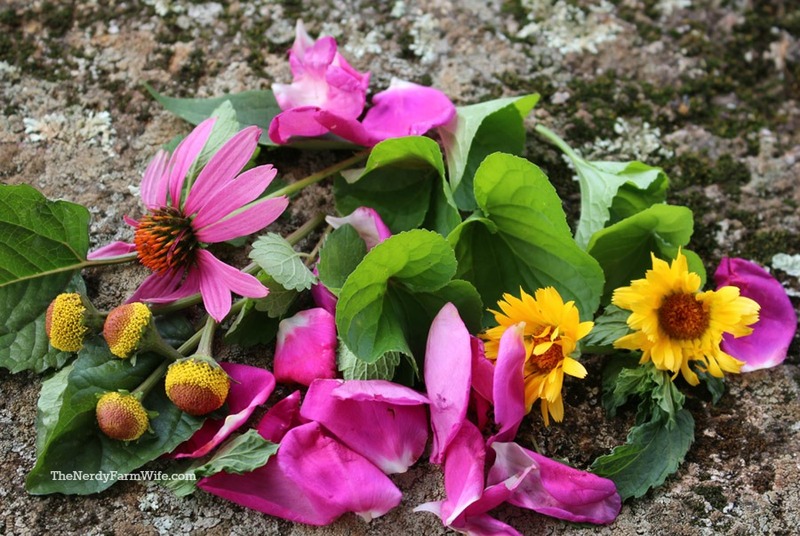 Echinacea – is another one good to help with throat pain. It also helps boost your immune system. You can buy a tincture HERE or check your local health store. Violet – one of my favorite all around plants. Soothes inflammation and heals. I also used this in a spray I made to help my husband when he quit tobacco, since it’s purported to fight oral cancers. Make your own tincture from violets growing in your yard or buy Herb Pharm’s brand HERE. Rose petals – are cooling and astringent. Make your own tincture easily by covering fresh or high quality dried rose petals with vodka for four to six weeks. 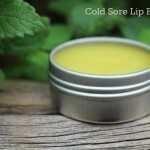 Lemon Balm – is antiviral, calming, soothes nervous stomach and powerful against cold sores. It’s easy to make your own if you grow lemon balm in your garden, but you can also buy the extract/tincture HERE. Ginger – is antibacterial, helps upset stomach, nausea and chills. It’s super easy to make a tincture using ginger root bought from your grocery store or you can buy some HERE. These are just a few ideas; there are many more options to mix and match. Invest in a reference book such as Making Plant Medicine by Richo Cech. It lists many plants, their uses and contraindications, and will give you direction on other herbs to try out. Hands down, it’s the most oft-used book in my personal library! Tagged herbs, home remedies. Bookmark the permalink. I’ve been looking for a simple throat spray recipe. I’m going to try this next time anyone in my family gets a sore throat. Thanks for all the wonderful recipes you share. How is the Herb course going? I wonder, could you substitute say ginger or thyme essential oil for the herbal extracts? And would you reduce it to a few drops?? thanks for all the wonderful information that you provided in your article. I always feel its better to use a natural when possible for any ailment. Thanks for sharing. Visiting from Wildcrafting Wednesdays. Have a wonderful healthy day! Thanks Marla, I’m glad you liked the article and hope you have a wonderful day as well! Thanks for sharing your remedies & recipes. I’m a Licensed Nurse, & have had Physician Assistants, Physicians that have recommended some of these for throat irritations & for soothing stomach discomfort. I do a lot of crafts, soap & candle making, lotions & body scrubs, scrapbooking, floral arrangements. Many blessings to you. Hi Jan, I am going to make a hair / scalp tonic spray using “liquid herbal extracts ” and ” EO ” , with a vodka / aloe base. I will be using a 4 oz spray bottle. How many droppers of each “herbal extract” in the bottle ? How many drops of each “EO” in the bottle ? Hi Oren! It’s hard to say, without knowing a lot more details. A lot will depend on if you’re using water-based extracts or oil-based extracts, how concentrated they are & how many you want to add. Oil-based extracts aren’t going to mix in well with aloe and vodka, so you’ll want to double check that yours are water-based (water-soluble) ones. If you look up the manufacturer of your extracts, they usually have suggested usage rates on their web site or if you call their customer service number they can let you know the best amount to use. For essential oils amount, that will depend on what types you want to use and how many different types you’re adding to the spray. I used to work for Julique and they had a spilanthes tincture that one of the executives told me to use for cold sores, etc. They had told me to apply it over the area where i felt one coming up. When I did, it went away and never came through. Once my daughter and I started using the splinathes tincture, we never had cold sores again. Have you had anyone else have this same experience? Hi Sharilyn! That’s so interesting! Spilanthes is my go-to tincture for cold & flu season, so I definitely can see where it would be useful for cold sores too! 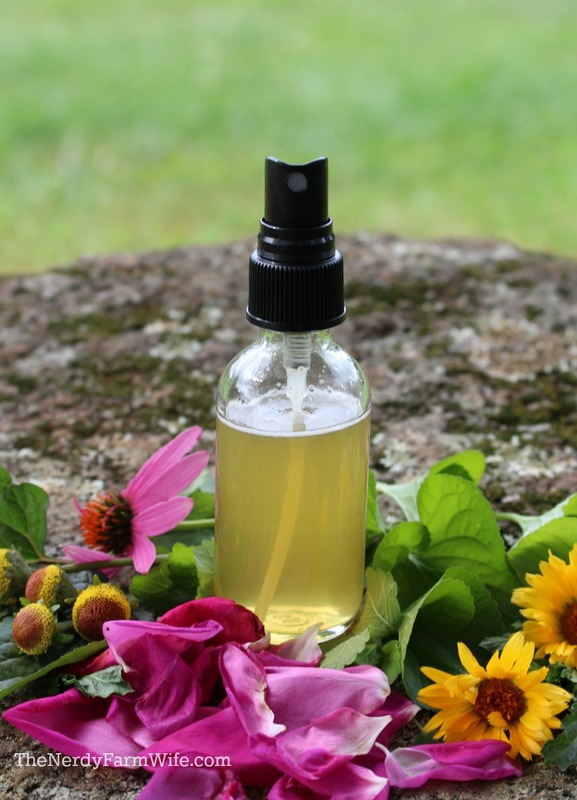 Do you use only one of these herbal tinctures or can you blend the herbs to make on tincture? The only one I don’t have is schisanders, the rest I have?